Edgar P. Stites was not a famous preacher, and he wasn't considered to be one of the most popular hymn writers. He was an ordinary man (yes, ordinary, like most of us in this world) whom the Lord used throughout his lifetime. He was faithful in serving in his church for many years - serving because of his TRUST in the Lord. 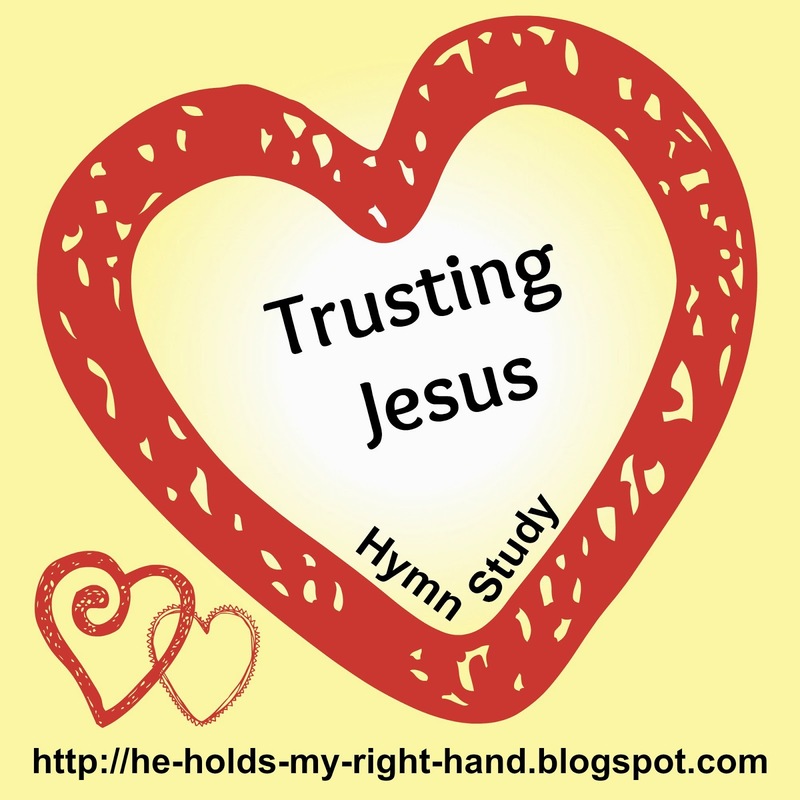 One of his hymns, Trusting Jesus, conveys the type of trust he had, and it continues to encourage Christians today to have that same kind of trust. Just put your TRUST in Him, that is all. Sometimes its easy to say, but hard to do. Sometimes MY faith is small and I question "Why?" But, trusting in Him is what we NEED to do in order to accept that everything we go through in life happens for a reason. Trusting in Him helps bring us peace.